Breakfast and WIFI are provided free of charge at the ibis Styles Herten and all other ibis Styles hotels. 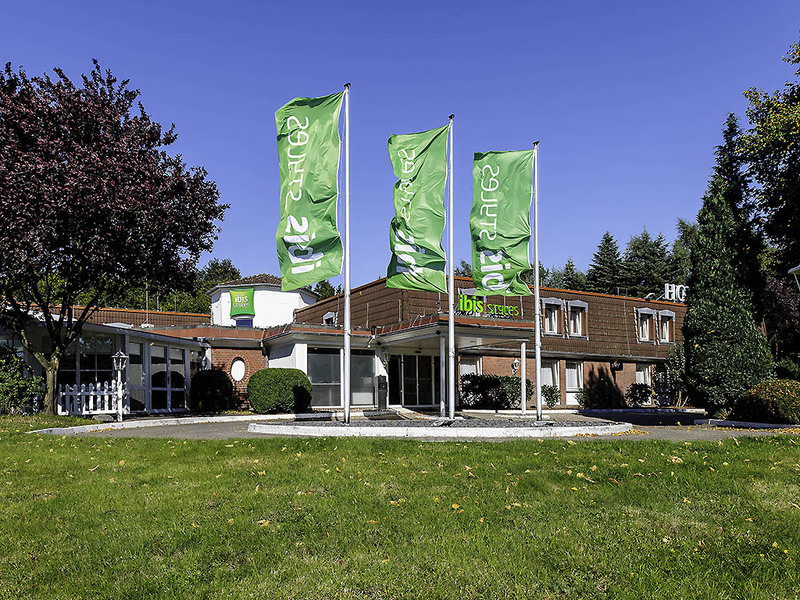 The area surrounding the ibis Styles Herten is nothing less than idyllic: Schlosspark Herten (Herten Castle gardens) is a green oasis in the heart o f the Ruhr valley and near to the Emscherbruch country park, home to Lake Ewald and two golf courses. The ibis Styles Herten has 48 stylish rooms. For family stays, we recommend the Family Comfort Suites with 2 rooms and a connecting door. Sports fans are extremely well catered for at our hotel: Take advantage of the nearby 9-hole and 18-hole golf courses, indoor and outdoor tennis courts and swimming pool. The Veltins Arena in Gelsenkirchen is just a few miles away. Herten town center is approx. 0.6 miles (1 km) away from the hotel and can be reached by bus or on foot. The cities of the Ruhr region are also just a short drive away. Free parking is available at the hotel. Warm, welcoming and modern, with a comfortable bed and practical bathroom, our rooms offer everything you need for an enjoyable stay. Extremely comfortable beds, flat-screen TV with multimedia options, functional desk and a range of services provided free of charge, such as 24/7 WIFI and phone calls to German landlines. All bathrooms have a shower or tub and WC.